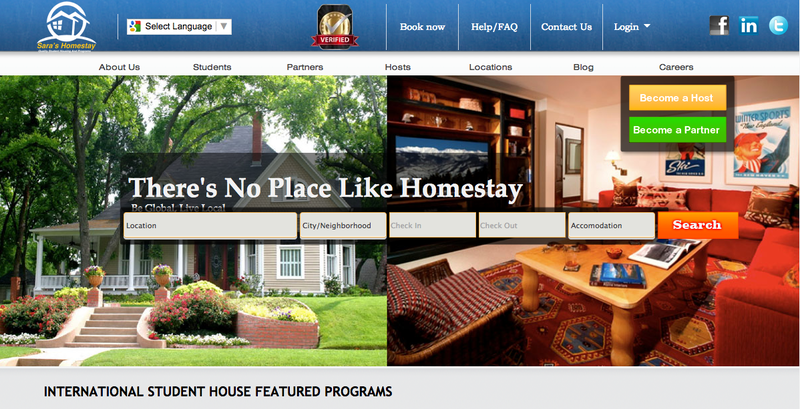 We built a completely custom CRM, CMS for Sarahomestay.com. The goal of Sarahomestay is to provide students a safe way to travel and stay with trusted homestay partners. Sarahomestay is like airbnb for students who are either too young to travel alone, or want to stay with local company to enhance their traveling and studying experience. Sarahomestay offers lunches, dinners, and insurance for all their users for a small additional fee. We helped create this LAMP stack site.